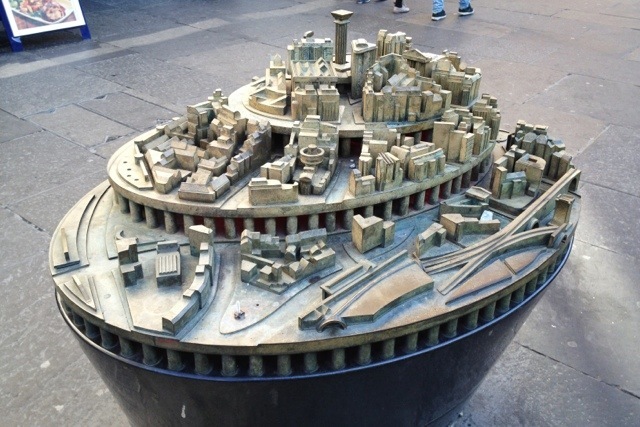 This plan, the Grainger Town Sculptural Map, can be found just across the road from Newcastle Station. 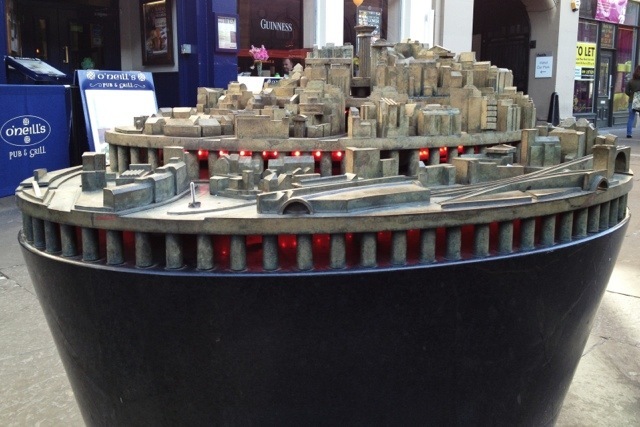 It was designed by Tod Hanson and Simon Watkinson, and put in place in 2003. The idea is that the buildings have been reduced to their “essential forms” – no Earl Grey atop the Monument, for example – to provide an enjoyable spotting challenge to locals and tourists alike. When I first saw it, though, I didn’t realise it was meant to be a representation of the local area, so it didn’t really challenge me at all. Whether that’s a comment on the artwork or my own dimness, I’m not sure. This 1,844th post was filed under: Photo-a-day 2012, Art, Newcastle-upon-Tyne.